Michael Bennett has a chat with his tailor of choice (and many others on the mod scene), Peter Harland in Liverpool. Liverpool’s close connection to popular culture is well documented. Like its rival Manchester, Liverpool has had its fair share of musical, sporting and fashion icons. Also, like most other major cities, it used to have a tailor on most streets. Yet at last count there are four tailors in Liverpool. With Peter Harland being the longest trading and most well respected in the city. Peter has won praise of many within the mod scene as well as being named in GQ Magazine as one of the best tailors ‘outside of the Row’. Peter has been in the profession since 1959 when he took up his apprenticeship at ‘Bounds’ at the tender age of fifteen. On Christmas Eve of 1969 Peter was made redundant without pay. With a small loan from his mother Peter started his own tailors and has never looked back. 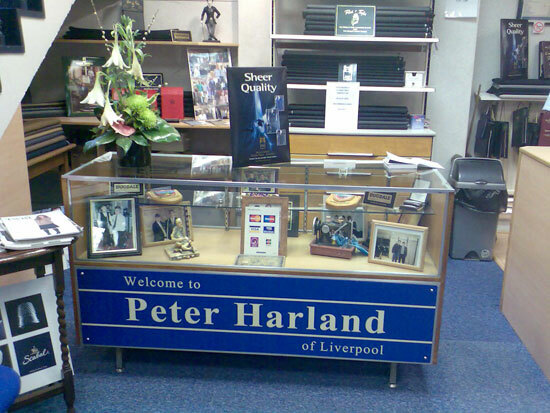 To date Peter regularly makes for local stars of football, music, entertainment as well as a very loyal client base from Liverpool’s business district. 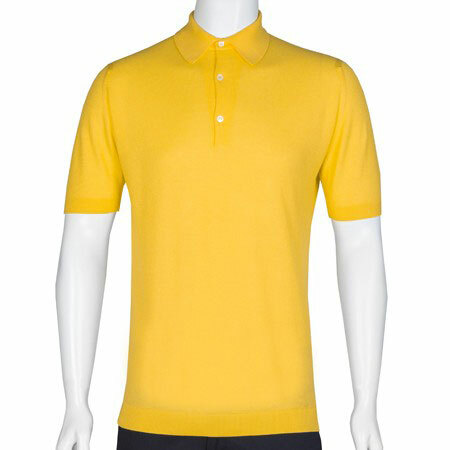 Peter is also mod friendly, making gear for mods and skinheads from all corners of the UK and the continent. I asked Peter about his beginnings in the world of tailoring. Can you tell me why you wanted to become a tailor Peter? It all started with my first suit from Distinction Tailors in Orrell Park. I had a Teddy Boy Drape made when I was fourteen. 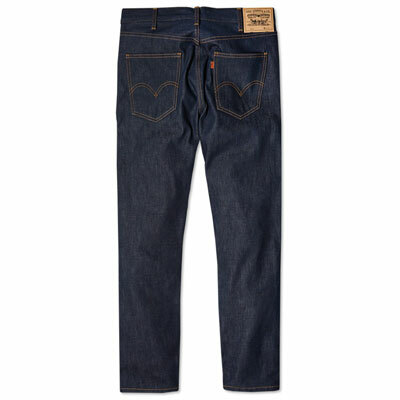 It was in sky blue with half-moon pockets, black stitching of the edge of the collar and cuffs. I loved every single moment of the process from buying the cloth of the docks to the various fittings. I slept in that suit; I guess that from that moment I just got hooked. What where your early days in the profession like? “It was hard work! We used to work long hours. In Bonds we would get about a hundred suits a week. 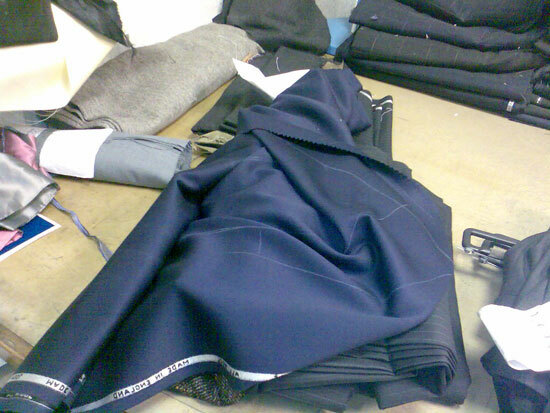 I was lucky that I learnt all the skills of tailoring from pattern design, cutting, vest, coat and trouser making. I was an apprentice for five years. In those days we had to go to Liverpool art college twice a week for night school. For my first three years I basically just watched. The money was terrible and I could have earned three times as much working on the docks or in a factory. Can you recall how the rise of ‘modernism’ impacted on the profession? 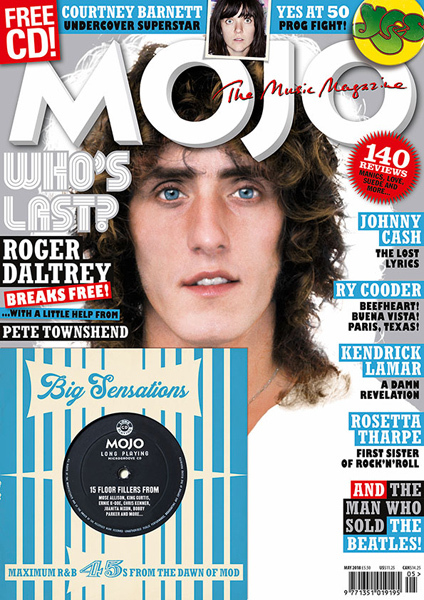 To be honest Michael I would not have called a person a mod in the 60s. There were some very smart young men who would come in asking for the ‘Italian’ cut or the ‘Ivy’ look, or bringing in record covers with pictures asking us to copy them. My look was very American and I loved the Ivy League style – I still do. My suits were always made to that American Jazz look. What I do remember about the mod era is that younger people were coming in asking for things to be made. I can also remember mohair becoming very sought after especially the 3-ply tonics. In those days a basic suit length was £3 to £4 off the Docks, but a good tonic was £12, a month’s wages for me in 1961. Tell me about your mod clientele these days. Michael know you me better than to name names! But I can tell you that I make for many mods, you included. I love making for mods. It takes me back to the styles that I used to love. I also like the attention to detail that mods require – cloth buttons, nice fancy linings, boot cut trousers, hipsters, tunnel loops – I love them all. Since Bradley Wiggins has hit it big I have noticed a lot more people coming in asking for ‘mod suits’. I am making a copy of his Mark Powell double breasted suit he wore for the Sports Personality Award at the moment. Well it is sad, as I have given my life to the art of tailoring and I have been very lucky that I have had extremely loyal clients over the years and it would be a shame if the city was without a tailor. But for many young people there is no tradition of going to a tailor in their families. To be honest it is the mods who will keep the craft alive in young people. I have used Peter for fifteen years. In that time he has never once disappointed. Peter’s attention to detail would put many ‘cheap’ tailors to shame. All of the work is carried out in house and Peter does not send anything out. Unlike most tailors Peter does not fuse his jackets and only uses traditional tailoring methods. 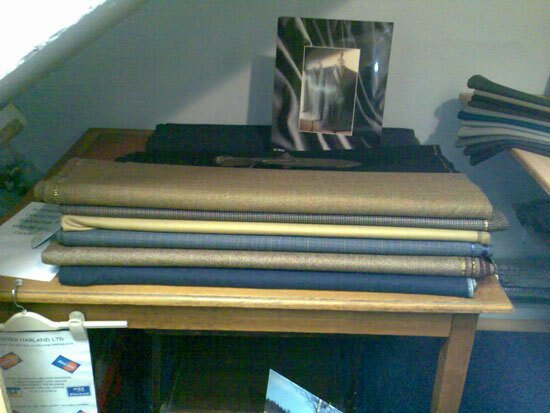 Peter has tons of cloth in store, much of which he still has from the late ’60s and early ’70s. 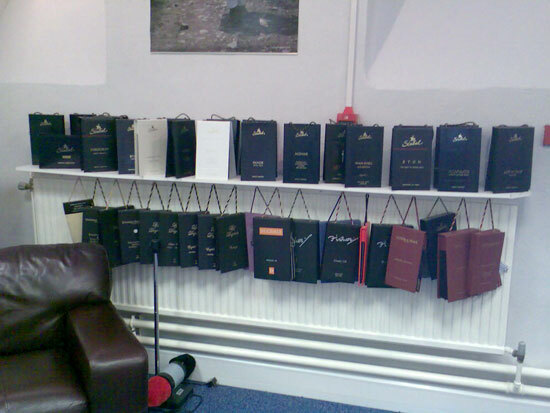 Peter has a small library of books and articles in his work room which he is happy for client to look at for ideas. But more than that Peter loves his craft and will make you the best suit he can. As for price, Peter charges reflect his skill and experience. CMT – with your own cloth – start from £575 for a two piece. If you are buying your cloth from Peter prices start at £695. The address is 6 Stanley St City Centre, Liverpool L1 6AF or call him on 0151 236 0561.